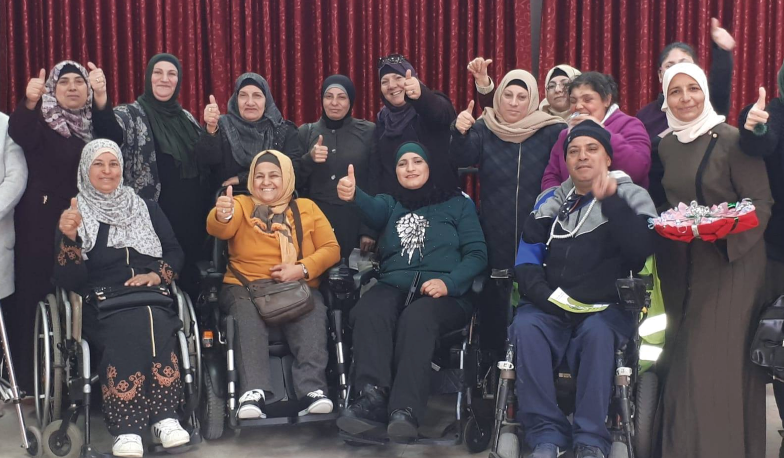 On Wednesday, 13/3/2019, Burj Al-Laqlaq Community Society organized an open activity for women with special needs on the occasion of International Women›s Day. The Social Work Department at the Burj Al Laqlaq Association Farah Abu Zant delivered a speech in which she emphasized the Association›s interest in supporting people with special needs as part of its strategic plan. She pointed to the agreement of the association with the coordinator of the social committee for the disabled in the club of Jerusalem Wajdan Fakhouri, to adopt community initiatives with special needs, through the project Opportunity. For her part, coordinator of the Social Committee for the Disabled in the Jerusalem Club Wajdan Fakhouri said, the celebration of International Women›s Day is a global necessity; it did not arise from the fact that the honor of women be in just one day a year, while continuing to discredit the rest of the year as Promoted by some . The ceremony included national songs by artists Ahmed Abu Saloum and Adel Al-Jabari, a play by Ahmed Abu Saloum and a popular Dabka show by Al Quds band candles.